Milan is not the city of your Italian dreams. You won’t leave Malpensa Airport and step into a romantic cliché. 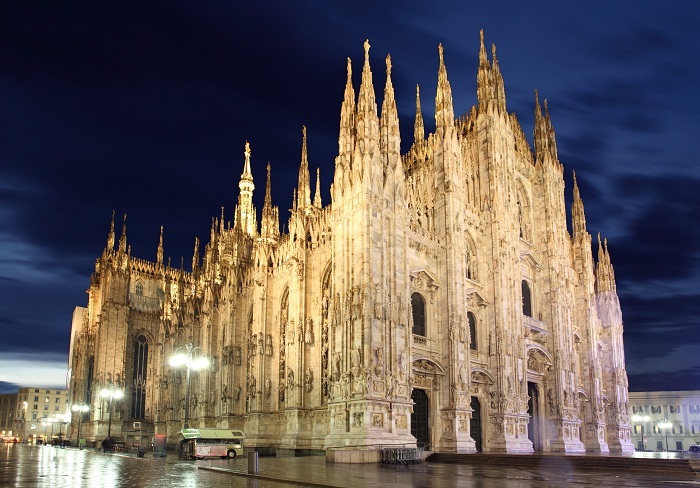 Milan is the city that keeps the rest of Italy going. Someone has to work for those people lying on beaches in Sardinia, eating pizza in Naples, or drinking themselves stupid on wine in Tuscany. Once you understand this, you can start to peel back the layers, and look beyond the bland office buildings. After living in Milan for a year I found that there is a beauty in the city’s intelligence and creativity. After all, this was where Da Vinci called home. The magnificent Duomo at night. 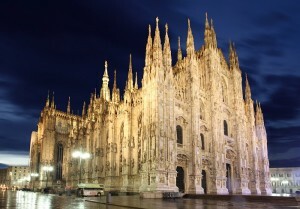 To start a tour of Milan you begin like any other journey through an Italian town, at the church in the centre. This is, however, no ordinary church. The Duomo took over six hundred years to complete and is quite frankly beyond spectacular. It’s the poster child for Milan and the city’s largest drawcard. Get to the top by scaling the stairs, the lift is notorious for much longer lines. Just next door is the Galleria Vittorio Emanuele II, lined with high end fashion stores that don’t bother with price tags. If you’re shopping here then such simple ideas as ‘cost’ will never bother you, and a two hundred euro bottle of water is well within your price range. Even the McDonalds is coloured a quite upmarket black and gold. On the ground floor there are four mosaics of the Coat of Arms of the three Capitals of the Kingdom of Italy, plus Milan’s. Apparently spinning around three times with your heel on the testicles of the bull from the Turin Coat of Arms brings you good luck. After all this spinning and climbing, you’ll have worked up a hunger. Just behind the Galleria is Luini’s. You’ll know it by the long queue of locals out the front. Pick up a panzerotti pastry and bathe in the oozing goodness of mozzarella and tomato. 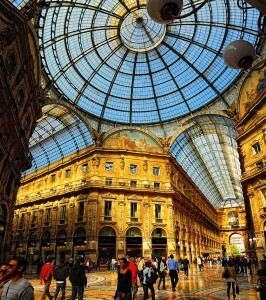 Galleria Vittorio Emanuele II, one of the world’s oldest shopping malls. From Duomo it’s a straight road along Via Dante to Parco Sempione and Castello Sforzesco. Take everything with a grain of salt, this is the main tourist district of the city. It is beautiful, but by no means is it somewhere you need to spend more than an hour exploring. As an experienced traveller you should know better than to buy anything here, a block over it’s going to be a lot cheaper. Like any city, it pays to explore a little further into Milan. The Universita Cattolica del Sacro Cuore is the largest private university in Europe. The campus is stunning, think if Harry Potter was Italian. Also what isn’t on many guide lists is the Cimitero Monumentale di Milano, the Monumental Cemetery. It is incredible what a sixteenth century nobility with far too much money, and near fanatical catholicism can create. It is this passion to create which gives Milan a sense of purpose. Whilst its architectural achievements tend to be limited to the city’s centre, its genius goes back centuries. Da Vinci spent his foundational years in Milan, and the Leonardo Da Vinci Science and Technology Museum houses some of his finest works of engineering. 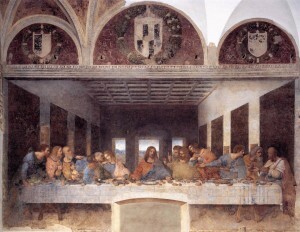 However, Da Vinci’s greatest work in Milan is in the Santa Maria delle Grazie, the Last Supper. There are few frescoes that hold such resonance throughout the world. Plan to see this well in advance though, tickets are incredibly hard to come by if you aren’t three months ahead of the game. 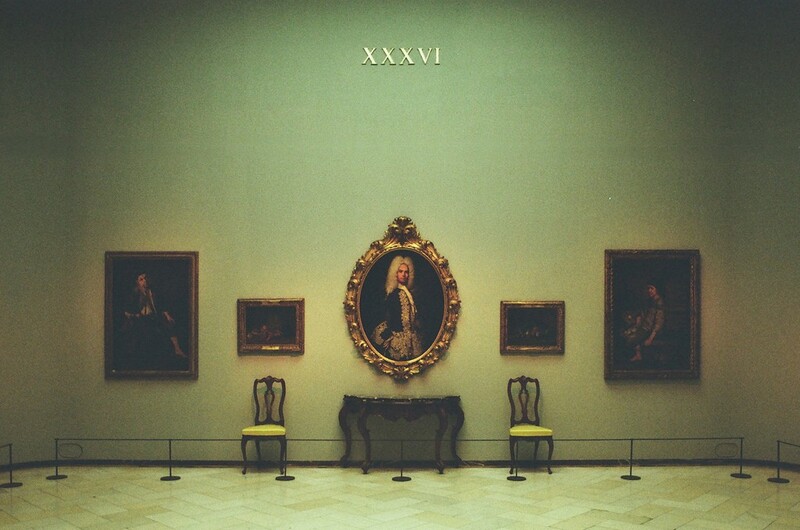 Pinacoteca di Brera, home to Milan’s most impressive collection of old masters. Any journey to Milan is something that should be considered and planned. The seasons drastically affect the city, in winter the city is coated in heavy fog, and summer is unfathomably hot. Plus, once you’re there don’t just restrict yourself to Milan alone. 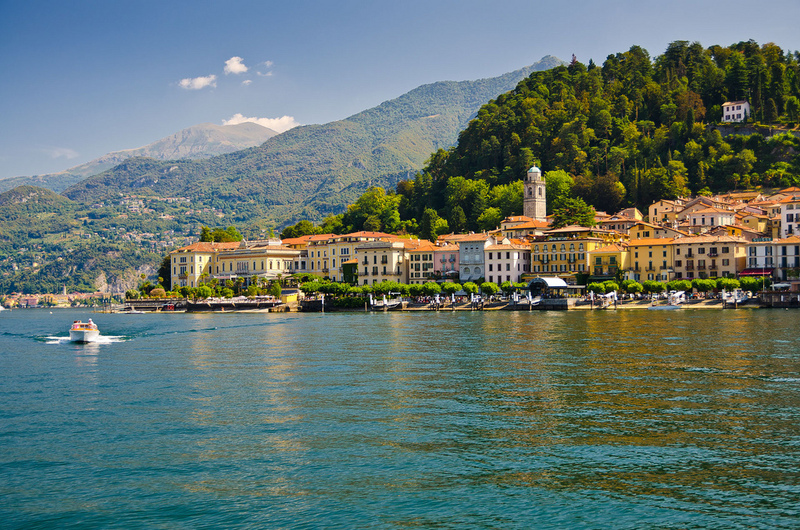 Lake Como, just a thirty minute train journey away, is precisely where you find all of those romantic Italian cliches. George Clooney owns a villa on the shore, and it’s also the scene of Naboo from Star Wars Episode II. Other must sees are Bergamo, Pavia and Turin. Time it well enough and you could also catch a glimpse of the Shroud of Turin, or a glimpse of Jesus, as they say. The Milanese close out the day in style, of course, this is the city of fashion after all. All across the city, but especially at Porta Genova it’s time for appretivo, happy hour. For ten euros you get a cocktail and all you can eat of the most amazing food from the region. It’s worthwhile seeking out, much like all of Milan. If you look a little further then you can find the beauty behind the facade of fashion, tourism and business.